What happens when you are asked to spend two evenings flipping through bulb magazines and - at the same time - able to ask the company representative what he or she thinks about your choices? Why, you say "Yes!" of course! In early September, I was asked to participate in the First Annual Spring Bulb Party for the Still Growing Podcast. Jennifer Ebeling, the host, organized the event which included Julie Thompson-Adolf from Garden Delights, and Susan Vollenweider from The History Chicks Podcast and a Columnist at the Kansas City Star. Featured in the first podcast is Tim Schipper of Colorblends and in the second podcast is Jo-Anne van den Berg-Ohms of Van Engelen and John Scheepers. 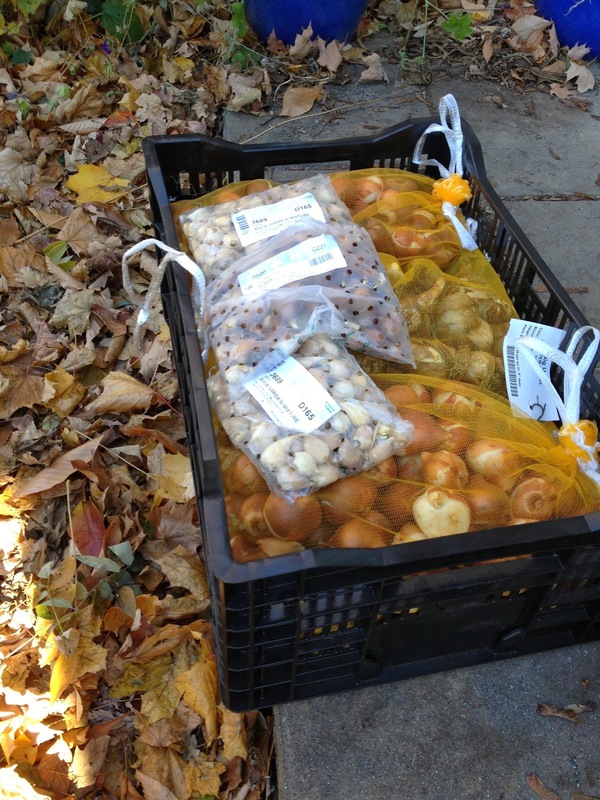 In the past I have ordered from both companies because I have had great success growing their bulbs, so I knew that I could trust their advice when I asked for tips for growing spring bulbs in my New England garden. Throughout the party, not only did we enjoy each other's company, but we all learned so much from the company's guests. 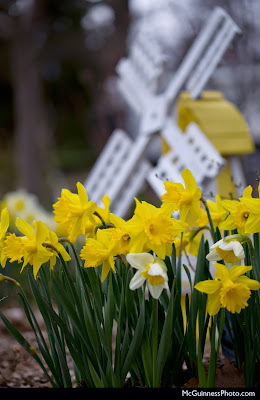 You'll hear in both podcasts different reasons why spring bulbs don't do well in two spots in my garden (Hint: it was along the driveway and in a bed of hostas), along with suggestions to defy those nasty voles that live out in my garden. And that's just two specific areas concerning me. You'll hear Julie's, Susan's and Jen's bulb choices, too - which reflect all our different personalities. Throughout the episodes we all begin to align ourselves with Team Daffodil or Team Tulip - you'll have to listen to find out why. As for my garden, I have started a new Pinterest board that keeps track of what I've ordered so far for spring planting. (You can see what I'm dreaming of color-wise this spring. Don't be surprised - I'm going for bright, bold color!) Half of my order is in, and I hope to place the remainder either tonight or tomorrow - before my choices sell out! The podcasts are embedded below for you to listen to. I'd love to know what you are planning on planting for spring! Are you Team Tulip or Team Daffodil? Let me know in the comments below!